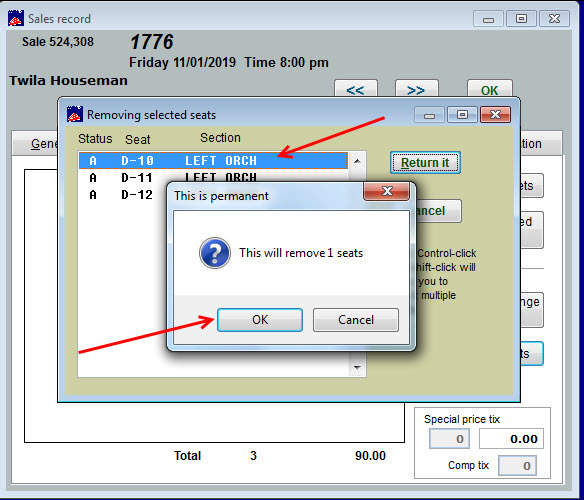 Go to Sale | Sales record and search for the sale for which you’ll be returning seats and collecting money. 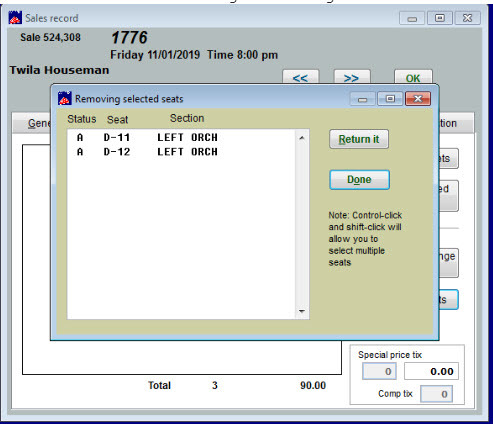 Click on the Tickets tab and click the Return seats button. Highlight the seat(s) you want to return. Click the Return it button. This is permanent. This will remove the selected seats. Now you have a screen with the remaining seats showing. 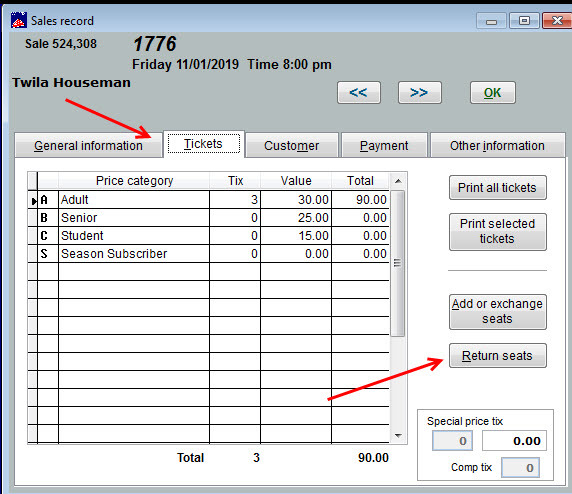 In the example we are using, they now only have two tickets reserved instead of three. The customer still owes money for the two tickets. They own an additional $60.00 (for two unpaid tickets). 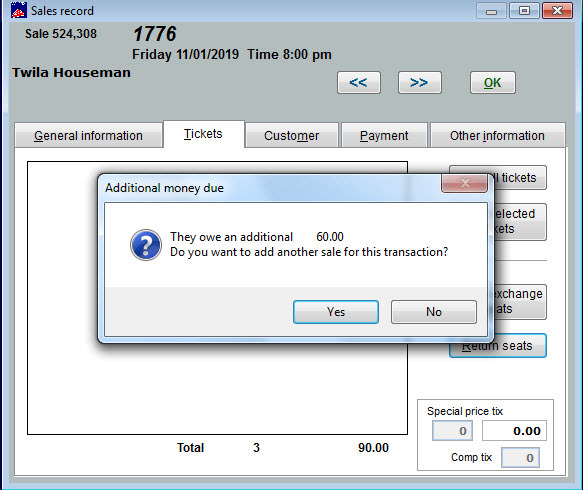 The window asks: Do you want to add another sale for this transaction? 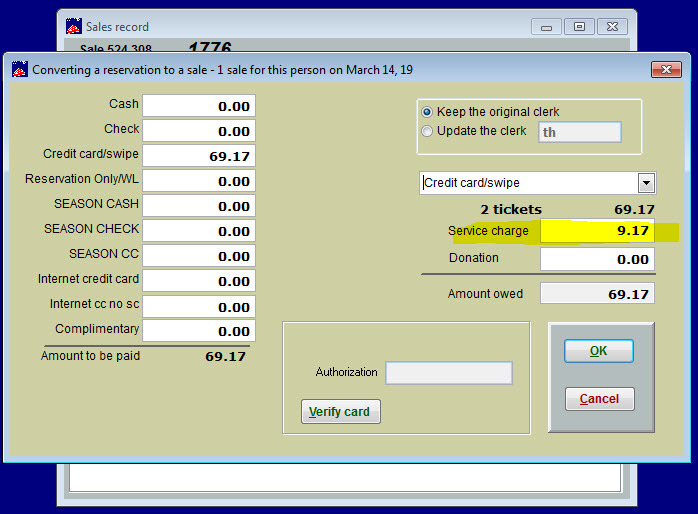 Click NO (you are going to convert the original reservation record to a sale record now). Click Convert reservation to a sale. Follow the steps you normally take to convert the reservation to a sale. This entry was posted in Wintix 6, Wintix5 and tagged tutorial, User manual. Bookmark the permalink.